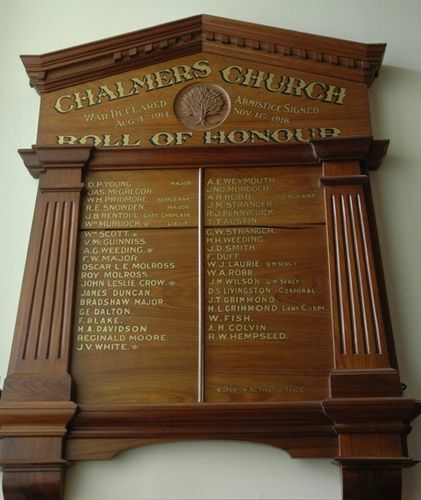 The Honour Roll from the defunct Chalmers Presbyterian Church commemorates those who served in World War One. It lists 38 names. The roll was originally unveiled at the evening service on the 24th October 1915.